"Sherwood Anderson." A very brief introduction to Anderson, from the college textbook publisher the Heath Anthology of American Literature . "Sherwood Anderson." A short introduction to Anderson. Also "The American Novel: 1890s-1920s Naturalism." An overview of naturalism in the American novel, and some of the novelists who can be considered naturalistic. Web site from PBS .
" Winesburg, Ohio ." An introduction to Winesburg, Ohio by the literary critic and political activist Irving Howe, part of a hypertext project at the Univ. of Virginia. "The Sherwood Anderson Collection." 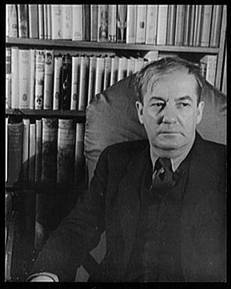 An online exhibition of pictures and some manuscripts related to Sherwood Anderson. From Virginia Tech Univ. library. "Sherwood Anderson and The Dial ." Sherwood Anderson's works that appeared in The Dial between 1920-1927, the period in which this little magazine was publishing the best new writers of poetry, prose, and drama. "Sherwood Anderson," ed. Martha Curry. A Teacher's Guide to Sherwood Anderson from Heath Anthology of American Literature . "Modernist Portraits: Sherwood Anderson." A web site for teaching Sherwood Anderson. From the Annenberg/PBS project "American Passages." Kale, Verna. "Sherwood Anderson: Winesburg, Ohio " (1919). Literary Encyclopedia [subscription service]. Anderson, David D. "Sherwood Anderson and the Coming of the New Deal." The Bulletin of the Midwest MLA 5, 2 (1972) pp 88-96 [free at jstor, click "Preview" or "Read Online"]. Bidney, Martin. " Windy McPherson's Son and Silent McEachern's son: Sherwood Anderson and Light in August " [and William Faulkner]. Mississippi Quarterly , Summer 1993 [questia subscription service]. Bruner, Belinda. "Pedagogy of the undressed: Sherwood Anderson's Kate Swift, from the Winesburg, Ohio collection of short stories." Studies in Short Fiction 36, 4 (Fall 1999) [questia sub ser]. Campbell, Hilbert H. "The 'Shadow People': Feodor Sologub and Sherwood Anderson's Winesburg, Ohio ." In Studies in Short Fiction 33, 1 (Winter 1996) [questia sub ser]. Conner, Marc C. Fathers and sons: Winesburg, Ohio and the revision of modernism. Studies in American Fiction 29, 2 (Autumn 2001) [questia sub ser]. Curry, Martha. "Sherwood Anderson and James Joyce." American Literature 52, 2 (May 1980) pp 236-49 [jstor preview or purchase]. Ellis, James. "Sherwood Anderson's fear of sexuality: horses, men, and homosexuality." Studies in Short Fiction 30, 4 (Fall 1993) [questia sub ser]. San Juan, Epifanio Jr. "Vision and Reality: A Reconsideration of Sherwood Anderson's Winesburg, Ohio ." In American Literature 35, 2 (May 1963) pp 137-55 [jstor preview or purchase]. West, Michael D. "Sherwood Anderson's Triumph: 'The Egg.'" American Quarterly 20, 4 (Winter 1968) pp 675-693 [free at jstor, click "Preview" or "Read Online"]. Whalan, Mark. "Dreams of manhood: narrative, gender, and history in Winesburg, Ohio ." In Studies in American Fiction 30, 2 (Autumn 2002) [questia sub ser].